Rajeev Yeshwanth is a Bangalore-based journalist. He writes on development issues. Stations construction is slated for January-February 2009. Smart cards are planned, stations will be disabled-friendly. Reach 1 will be operational by December 2010, the latest estimate. City and state officials have been engaged in yet another effort to clean up the error and horror-ridden voter rolls in the state. What’s in store? How do you get on the elusive list? 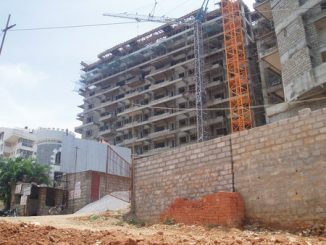 A recent study by a doctoral students at the National Institute of Advanced Studies in Bangalore suggests that Hebbal lake’s ‘development’ is against the idea of the city being a ‘melting pot’, because it cuts off access to several communities. Rajeev Yeshwanth has more. Will the Lake Development Authority’s (LDA) public private partnership (PPP) model protect or destroy Bangalore’s last remaining lakes? LDA leases out Agara Lake to a private party which plans an amusement park. Local residents and environmentalists are aghast and plan their next moves.